Finance Minister Plamen Oresharski presented the major lines of activity for which additional budget loans were utilized in 2007 and the effects of the policy of transparency in budget management, the Finance Ministry said in a press release on Friday. The total amount of funding from the central government budget, approved in accordance with Council of Ministers Decree 298/2007, is 1,371.8 million leva, Oresharski said, speaking to the Budget Committee in Parliament on Thursday evening. This funding was secured by overfulfillment of revenues and by economizing on expenses and was provided to ministries and departments, municipalities, autonomous budgets, the National Fund, nonfinancial enterprises and for cleaning of rivers and riverbeds, BTA reported. Over 80 per cent of the funding was utilized for building infrastructure and for the honouring of commitments under the EU Accession Treaty with Bulgaria. Out of the total amount, 658.2 million leva was spent on building and maintenance of roads, railway, environmental and other infrastructure and on the Sofia underground railway, and 438.6 million leva was spent on activities under the Accession Treaty. A total of 223.9 million leva was utilized for equipment, fuels and other activities, and the remaining 40 million leva for activities of the administration. In 2005, Parliament approved a mechanism for transparent redistribution of revenues over expenses, Oresharski recalled. In 2007, additional budget loans accounted for 2.5 per cent of gross domestic product (GDP) and 6.5 per cent of the expenses under the consolidated budget. In 2004, the figures were 2.8 per cent of GDP and 7.1 per cent of expenses under the consolidated budget. 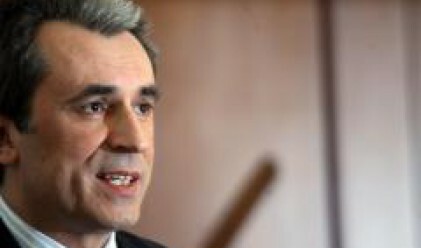 As early as in the spring of 2006, ECOFIN noted in its assessment of Bulgaria that the rule of spending overfulfillment exceeding 1.5 per cent of planned revenues by a sanction of Parliament enhances the transparency of budget management. A recognition of transparency in budget management was also received from the International Monetary Fund in the autumn of 2007, Oresharski said.